Continuing from the previous post . . . I had been sitting on The Adventures of the Galactic Star Force Power Squad since 1993, sometimes playing it for the friends of mine who appeared in it. Then, around 2004 I found starwars fanworks, a website dedicated to showcasing fan-produced, amateur audio programs with a Star Wars theme. They also feature "audio parodies," of which Galactic is certainly one. I contacted the webmaster and told him about my program, and he agreed to feature it on the website. Thanks to that site, Galactic can now be heard by people all over the world. Granted, it hasn't been a lot of people, but I do hope they enjoy it. It'd be nice to find out if they did. I've never heard. I was inclined to create a prequel in 2005. So, I wrote it and we recorded in June. Visit the galactic site to hear it yourself. I've discovered a lot of great audio productions through starwars fanworks. Some of them have Simon and Schuster quality to them. Some, while having solid production values, might lack in acting or story. The common factors among them are that they are all produced very well, with close attention given to music and sound effects. They also all take themselves very seriously. Star Wars is not a joke. Where does Galactic fall into the fan audio community? It's a SF parody, and borrows elements from Star Wars, Hitchhikers, Star Trek, and a few other places (event the Simpsons!). It was also a rushed job. I had two weeks to write it, rehearse, record, and edit. Juggling that with a full class load and a part time job, I barely made my deadline. Its acting is okay, but I did try to use a good variety of sound effects and music. It suffers from poor sound quality, caused by a bad final mix dub. But, over a decade later, all those things together--even the quality--make it what it is. It is Galactic as it is. I do however, like it better than other parodies available on starwars fanworks, but that's really because I'm biased. However, there's a lot good stuff on there too. I'll talk about that next post. I discovered the Jack Benny Program, Great Gildersleeve, and Fibber McGee and Molly when I was about fourteen years old. During that time, WVXU in Cincinnati played "When Swing Was King" all weekend long, hosted by Mark Magistrelli. When I tuned in to 91.7 one fateful day during a winter's break from school, I was introduced to music I had never really listened to before. Being a normal teenager, I listened mostly to pop music and had a vague familiarity with big band music. I found that day that I liked it, and listened all afternoon long. At 5:00, the old time radio shows started, I believe with Great Gildersleeve. That was the first time in my life I had ever heard a radio program. After all, I was raised on television. I really liked Great Gildersleeve, his funny laugh, his boisterousness, and I thought it was a funny show. I didn't know this was strictly an "audio only" show. You see, I thought I was listening to a stage presentation, a play maybe--however they did it back then, possibly acting the show in front of an audience, with sets and everything. But the voice and sound effects were so well done that I assumed it was a very well-miked stage play. The audience helped create that illusion. I could see in my mind everything that was going on, and visualized Gildersleeve as Ralph Kramden from the Honeymooners. In fact, that's still how I see him. Jack Benny came next. I can't remember my specific opinions, but I do recall thinking it was easily the funniest thing I had ever heard. Again, it was like listening to a play, but was kind of like the Tonight Show with a funny skit and storyline. I pictured Rochester looking like Scatman Caruthers from The Shining. I still do, too. I believe Fibber McGee and Molly came next. I didn't like it as much as Jack Benny, but thought it was entertaining. I tuned in every weekend after that and became a fan of the shows. It wasn't until years later I found out the actors were all radio actors who stood around a microphone holding their scripts. Later I even saw a picture in a Jack Benny book that looked exactly like that. That's how my interest in theater of the mind audio started. Also, I've been a continuing fan of both Great Gildersleeve and Jack Benny until today. But when I was first introduced to radio dramas and comedy, I knew I wanted to do something like that myself, create my own radio comedy. I got the chance in 1993 when I recorded the Adventures of the Galactic Star Force Power Squad! You can read all about that experience here. In 2005 I recorded a prequel to that episode. Find it here. Where is all this going, you ask? I'll talk about other audio programs available all over the web. If you visit a haunted house this Halloween, you may hear some spooky music being played over the speakers while you're waiting in line, or you may hear it inside the attraction itself. You may also spot a poster that reads, "Music for this haunted house has been provided by Midnight Syndicate." Then you might think, who or what is Midnight Syndicate? Certainly not mainstream, and unlikely to ever have a music video, Midnight Syndicate is easily the best "gothic horror" soundscape recording group on the market. But it's not sold year-round in music stores. If you want to buy it retail, you have to visit the Halloween stores that pop up late September and through October every year. Otherwise, you'll have to order online. Midnight Syndicate is great to listen to around Halloween, but a lot of people, myself included, like listening to it all-year round. I understand it has a big following among the Goth community, too. I've described Midnight Syndicate as "moody orchestral music." But it's a lot more than just that. Each CD is a soundscape, a theater-of-the-mind soundtrack with varying levels of intensity and style. It is quite literally like listening to a movie soundtrack of a truly frightening film. Each CD release gets progressively better than the one before, although I can recommend any of them (but I have not heard their debut CD). For instance, Gates of Delirium is a "visit to Haverghast Asylum," and during the opening number, "Welcome," you can almost envision title credits rolling on the screen. But there is no accompanying movie to go with this CD. Any images will occur inside your mind provided imaginatively by the music and sound effects. Following Gates is The 13th Hour, which in my opinion is their best next to Gates. They have eight CDs out now, and their latest, Out of the Darkness, is on my birthday list for this year (my birthday is October 31, of course). These CDs are awesome for any Halloween event or trick-or-treating, or for year-round enjoyment. As a Halloween afficianado, I've heard many other Halloween CDs and records. Most of them are disappointing at best. One such example is Manheim Steamroller's Halloween CD, produced by Chip Davis of the Christmas CD fame. The reason this CD fails is because it's too happy and bouncy. You can't have a Halloween party (for adults) and play this CD. You might as well put in the Monster Mash. I bought this expecting a good, dark, moody musical experience. Instead, its full of dance rhythms and fast tempos. It's not Halloween. It includes a second CD with sound effects which are okay. If you need good sound effects for your Halloween haunt, the second CD is good, but some editing will be required. Martha Stewart, would you believe, came out with her own CD of sound effects titled Spooky Scary Sounds for Halloween. It isn't bad. I've heard much much worse. It is full of various good sound effects. The problem is, though, that the same sound effects repeat throughout the CD. If you can find this CD and pay a couple bucks for it, it's worth it. If not, pass on it. 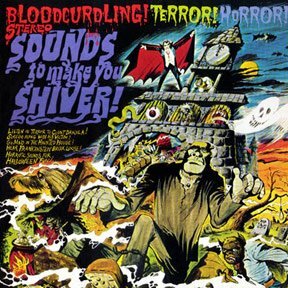 Erich Kunzel's Chiller will always be at the top of the list for quality Halloween music. But when the Cincinnati Pops Orchestra performs the music, how could you expect anything less than perfection? Recorded in DDD, it's crystal clear. If you listen closely with headphones, you can hear the wind instrument musicians take breaths before playing flutes. The music is awesome, and it even has sound effects of a frightened woman running through the rain looking for help at a scary old house, and the shower scene is recreated as well. And any Halloween isn't complete without the Halloween (movie) soundtrack. 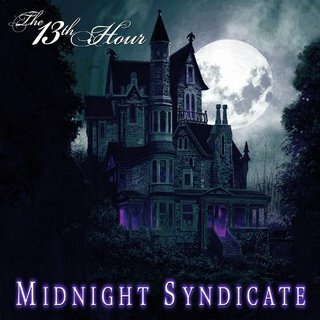 There are a lot more quality Halloween soundscapes out there, but Midnight Syndicate is the one I recommend. Don't waste your time or money on no-name department store Halloween CDs. Speaking of department stores, when I was a kid in the early 1970s, my mother and I were shopping in October and I spotted a record album called Sounds to Make You Shiver. This record had everything. It had an awesome cover, and inside it contained a visit to a crazy haunted house filled with creaking doors, and out-of-tune piano, witch cackling, some laughing guy torturing a screaming woman, shutters slamming open and closed in the wind, and so much more. Side B was a series of the sound effects used on Side A.
I listened to this record millions of times. It was one of my childhood icons. It disappeared a few years later. Last year, 2005, I did a search on google and found a few blogs reminiscing about the record. I found it on eBay and bought one. The cover was just as I remembered, and I listened to it and discovered it wasn't as frightening to me as an adult as it was when I was younger. Huh. But it was still fun and I played it on my porch speakers during trick-or-treating. The trick-or-treaters seemed to like it, and it did add to the atmosphere. Unfortunately, as a 35 year old adult, I found it a little cheesey. But it's cool to when you're a kid. And you know what? I still enjoy it despite its cheesiness. Stop by again soon as I discuss which Halloween haunted houses in the Cincinnati area are the best, just in case you've never been to one and you're wondering which to go to first.